I was very fortunate to grow up living close to both of my grandmothers. Grandparents can have a very positive influence in the lives of grandchildren; mine certainly did. Both of my grandmothers were excellent cooks and bakers and patiently taught their children and grandchildren their love of cooking. My father's mother, Yaya (grandmother in Greek), was born in Athens, Greece and came to America when she was four years old. Her and her husband, my Papou, owned a bakery so I grew up around the bakery and learned Yaya's trade of cooking (most things, anyway). They were known for their perfect French bread - I'll share her secret one day. As with most Greek people, recipes are handed down from generation to generation and everyone participates in the preparation. Food is woven into the very thread of Greek life. There are foods for holidays, foods for mourning, foods for rejoicing, and foods for fasting. 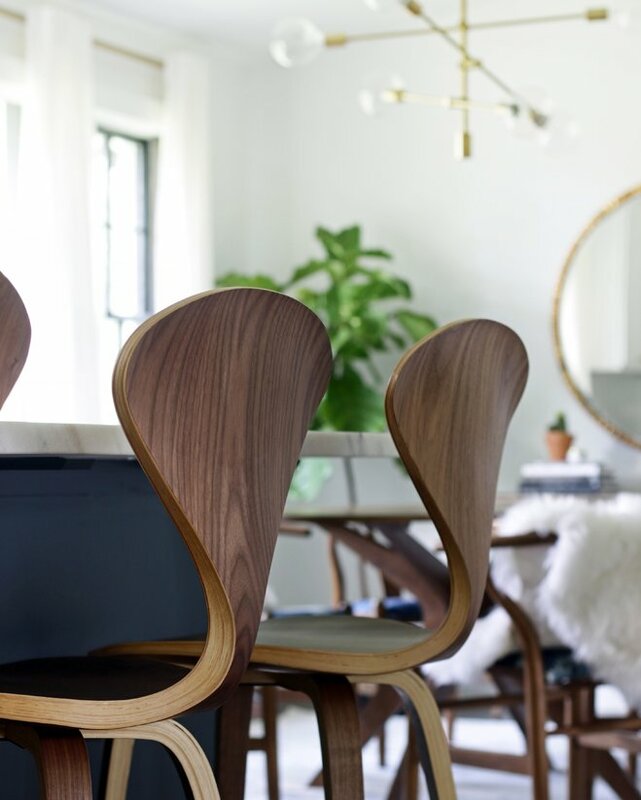 Food is an important part of their lives and cherished traditions. Today, I'm sharing my Yaya's recipe for Dolmades. My own children have also grown up on this recipe and we are all very partial to this old family recipe and think it's absolutely delicious. First: Place the first nine ingredients (everything except beef bullion, lemon juice, 3 T butter and grapevine leaves) into a large bowl and mix well my Yaya's way...use your hands. Set the meat mixture aside while you prepare your leaves. Yaya grew her own grapes so we always had fresh leaves from the grapevine which were so tender and delicious. 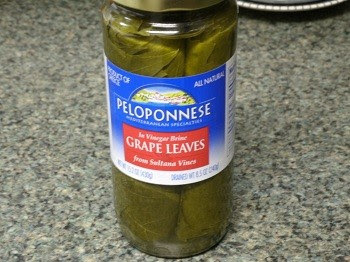 Peloponnese is the brand of grape leaves that I find at my local grocery store. When you remove the leaves from the bottle there will be 3 rolled batches so remove one, and then the other two will be easy to pull out of the jar. Rinse grape leaves well with water. Blanch the leaves for 20-30 seconds, then drain and rinse again. Place 1 Tablespoon of mixture on a grape leaf, fold over both sides as shown above, and roll tightly towards point into oblong shapes. If the leaf is really small, sometimes I will use two, placing one on top of the other leaf to make it a little wider or longer as needed. But generally use one leaf per roll. Arrange dolmades seam-side down in a large saucepan, close together in layers. If I have more than one layer of dolmades, I squirt a little lemon juice over each layer. Place an oven-proof plate over dolmades to prevent leaves from opening while they cook. Add juice of 1 lemon and 2 cups beef broth to the saucepan. Dot with 2 or 3 tablespoons butter. Cover and simmer 50 minutes to 1 hour until the leaves are tender and the rice is done. Dolmades are delicious served with Greek cheese, if desired. Garnish with a lemon wedge. Enjoy them warm or cold. Refrigerate leftovers. This same filling may be used for stuffed green peppers or tomatoes. I'll share a separate post for these. Leave me a comment if you have any questions.